Oil fired boilers from Grant UK provide efficient heating solutions for the home. Our qualified oil heating engineers are fully conversant with all oil fired boilers & all makes. Absolute Plumbing & Heating based in South west Devon. We have over 10 years experience with working with Grant boilers & all other leading makes. We are very capable of repairing & servicing Grant oil boilers our engineers fully service all makes of Grant boilers.Our vans carry an extensive stock of parts for such things as boiler breakdowns & general maintenance. We focus our attention on giving you the fastest & best boiler repairs & maintenance we can. We are not like other oil heating engineers who are hard to get hold of, we always answer the telephone. Long time experience with emergency responses puts us ahead of the game. Smell of oil from Grant oil boiler. Black soot from oil boiler. Kerosene leaking from under boiler. Boiler keeps trying to fire. Fit new parts to boilers. Grant boiler repairs on the same day. We like to provide an excellent service for all our customers,this is why are repairs last. we are often told that the boiler has been working from one year right through to the next with no faults. This is excellent for the both us and the customer, it shows we care and we are carrying out a full, and proper oil boiler repairs & service and our repairs and been correctly diagnosed from the start. 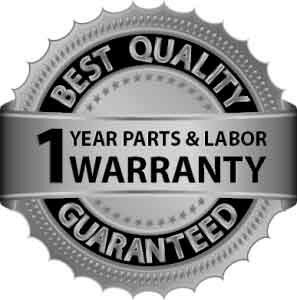 Parts fitted to the oil boiler will have a one year warranty. Parts such as nozzles & oil lines are classed as consumables and will not be covered under the yearly service. Similar to a car service where parts acre changed annually, such as air filters & oil filters. these parts wear down through continued use. Grant Trained Engineers & Qualified To Work On Grant Boilers. Development training has enabled our Grant engineers to solve many of the common faults in oil fired boilers. With our extensive know how of oil fired central heating & our on going training with Grant UK, our grant engineers can have your boiler working in no time. Respect your boiler and your boiler will provide you with many hours of heating & hot water all year round. When the boiler is neglected, parts wear out quicker and failure of the boiler may occur at a quicker rate. More fuel may well be required to keep the central heating up to temperature. The burner may come out of calibration and start using more fuel energy to keep the house warm. Book Our Expert Services Today. We respect your home, taking our shoes off makes for a good impression too. A clean dress code always goes down well with our customers as we like to look smart. Reactive maintenance professionally carried out on you oil central heating boiler. Fire valves provide are a safety feature to make sure your oil boiler will shut off if ever the oil boiler is on fire, we check fire valve operation when we service the boiler. Oil lines have filters that strain the oil coming from the oil tank. We can check the filters and exchange for new at the same time as the annual service. Gas analyser tests are performed and the boiler is calibrated to make sure co co2 levels are safe. Grant Boiler: Electrical Malfunction. We soon had the boiler smoothly running after new parts were fitted. Call 07766501664 Grant Engineer.